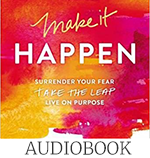 Enjoy reading as well as listening to today’s devotion from Lara Casey’s book Make It Happen. 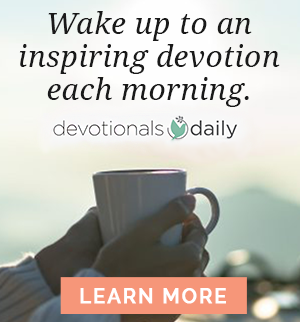 You can also listen to it on your Alexa device by asking Alexa to read today’s devotion. The light flashed green on my dreams, so I pressed my foot on the gas pedal as hard as I could. I said yes to everything. I took every speaking engagement, every interview, and every travel request. I turned the master bedroom in our tiny apartment into the Southern Weddings office so I could accommodate three new employees and two interns. I worked late nights and was glued to social media to try to network and grow. People asked me for business advice, so I started a consulting company too. I continued to plan weddings with my event planning company, traveling between states for meetings and wedding days. I didn’t dare say no to anything, in case I might miss an opportunity. A magazine, a blog, a wedding production company, a consulting company, speaking engagements, conferences — I was like a freight train… full speed ahead. I was speeding so fast toward success that I couldn’t see what I was demolishing on the way. I thought I was doing the right thing: grow, grow, grow. I didn’t see the crash coming. Ari and I became roommates. We never saw each other, and when we did, I’d be working and he’d be disconnected, lost in video games or TV. We spent our days searching for fulfillment in all the wrong places. I built friendships with popular people and did whatever I could to win their approval, including flirting with guys on my travels. They made me feel beautiful and sought-after, a stark contrast to what I was feeling at home. I escaped to my growing magazine and to relationships that distracted me from what mattered. Ari escaped to work and late nights with friends. Our relationship began to feel beyond repair again. We fought constantly, as we had in our first year of marriage. We slept in separate beds. I shoved my faith aside in favor of work, and Ari declared that he didn’t believe in God anymore. I worked nineteen-hour days, seven days a week, chasing the uncatchable once again. It’s so easy to get off track. The world’s standard of perfect tries to lure us in at every turn. The world makes a lot of prom-ises: If you are perfect, you will be happy. If you have money, you will be happy. If you have fame, you will be happy. If you aren’t the best, you will be a failure. If you aren’t the best, you will be nothing. Well, friends, the world is a liar. I was miserable. I was moving at the speed of light, driven by fear instead of God. I talked about how busy I was all the time, like it was a badge of honor, as if busy equaled successful. Well, I was successful, all right: I was a pro at covering the bags under my eyes with tons of makeup. I was stellar at feeding my ego to try to bandage my shattered soul. I was an expert excuse-maker, quick to reply to invitations from friends with, “I have to work.” I was so good at being in control that God couldn’t get a word in edgewise. I was great at living a happy life online so I could escape from the turmoil in my crumbling marriage. If you are perfect, you will be successful. If you have money, you will be happy. If you have fame, you will be loved. If you aren’t the best, you will be a failure. If you aren’t the best, you will be nothing. Out of the blue, a friend sent me an e-mail telling me that my fast-paced life was “going nowhere.” He told me that God wanted my marriage with Ari to be put back together. He said he didn’t care if I hated him for this e-mail; he had to tell me the truth. I fumed, thinking, How dare he say this to me! I cried and resisted the urge to punch things. I was angry because what he’d said was true, and I feared the truth. God was speaking to me in those pixels on the screen: You are living a sinful life and going nowhere, fast. I want your marriage with Ari to be healed. Kick and scream all you want, but Lara… I am the Truth and the Way and the Life. It was Saturday. I had just finished a long two weeks of travel, during which my employees told me they were disappointed in me for a laundry list of things. I was afraid to face them on Monday, for fear they would all quit. My mom had just called to tell me she didn’t like a photo she had seen of me having drinks with people on my travels. I hung up on her. My bank accounts had dwindled to next to nothing, thanks to my extravagant travels and frivolous spending. I wasn’t sure how I was going to make my next payment on the flashy car I couldn’t afford but felt like I needed. I didn’t know where Ari was that weekend. I assumed he went out of town, maybe. And this ridiculous e-mail lingered in my inbox. Everything was crashing in, and I felt like I was powerless to change it. But God… But God isn’t a God of logic. He is God. God doesn’t care about the mistakes you’ve made in the past. He wants your heart. Read those two sentences again, this time out loud. Do you believe that, friend? I didn’t. If I had read my own book a few years ago, I would have said a firm and resounding, “Yeah, right!” If that’s you, stay with me. I wrote this book for you. Excerpted with permission from Make It Happen by Lara Casey, copyright Thomas Nelson, 2014. Is that you? 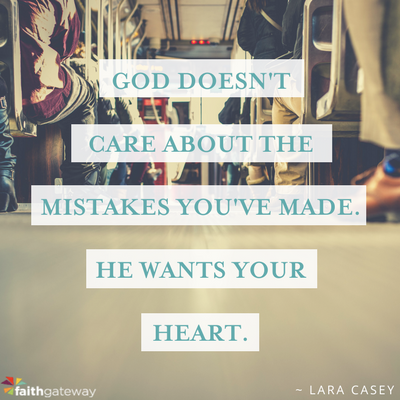 Did you read God doesn’t care about the mistakes you’ve made in the past. He wants your heart. and think, “Yeah, right!” Where is your happiness found? What would a friend who cared more about you than you getting mad at him or her email you? 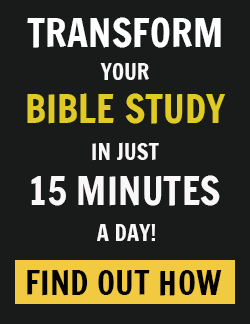 What is God trying to say to you? Come join the conversation on our blog! We would love to hear from you! Lara Casey wears many hats within her parent company, Lara Casey Media. She is the publisher and editor-in-chief of Southern Weddings® magazine, founder of the Making Things Happen movement, and a noted branding expert. A writer and speaker, she is passionate about helping people find what makes them really come alive and use their gifts for a greater purpose. Lara and her husband, Ari, are proud parents to Grace.